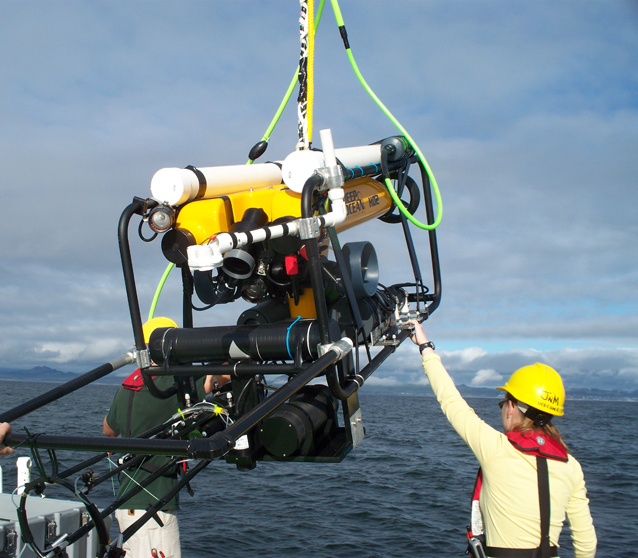 Remotely operated vehicle that uses sonar to study plankton. Credit: Mark Benfield. 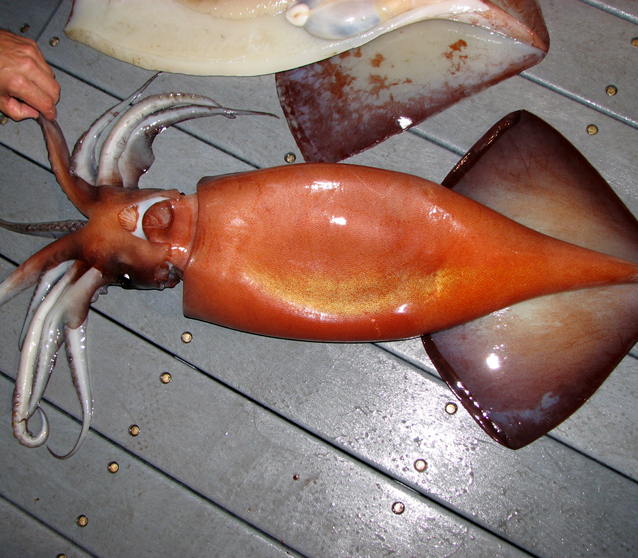 Humboldt squid on deck to have its measurements taken. Credit: Kelly Benoit-Bird. 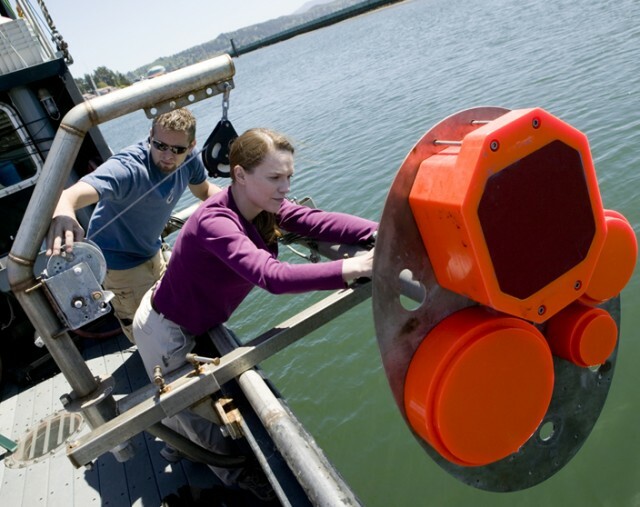 Kelly Benoit-Bird adjusting the sonar before beginning her experiment. Credit: Nick Kelsh. Thank you Ari and Kelly. I have been hearing a great deal about the spread of Humboldt squid in the Pacific, this story was very interesting to listen to and learn about your approach to monitor the presence of squid and potential interactions with other ocean critters. Thanks for sharing! Congratulations to Kelly Benoit-Bird on her award of a MacArthur Fellowship. Her name stood out in the award list to me, and I realized, I knew it from Ocean Gazing. 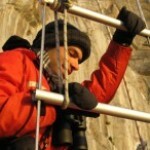 Smithsonian article featuring Kelly Benoit-Bird entitled "The Sperm Whale's Deadly Call"